On the same day Chelsea, coached by Rafael Benitez, were beaten in the Club World Cup final, erstwhile coach of the Blues Roberto Di Matteo was seen smiling again after being named coach of the year in Switzerland. 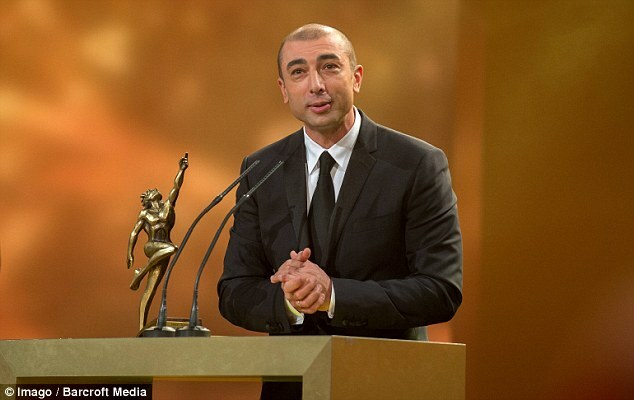 Although an Italian international Di Matteo was born and brought up in Schaffhausen in the north of Switzerland. Italian tactician Di Matteo was sacked last month by Blues owner Roman Abramovich despite winning both the Champions League and the FA Cup in his short spell in charge at Stamford Bridge. 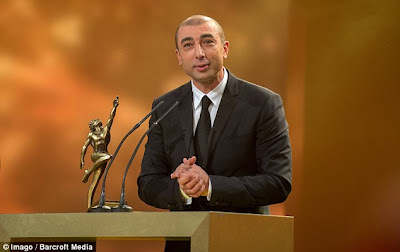 While Di Matteo's exploits were clearly not appreciated by the Russian oligarch, football experts in the country of his birth stood to applaud the 42-year-old as he was honoured at the Credit Suisse Sports Awards in Zurich on Sunday night. Meanwhile, Benitez finds himself under enormous pressure at Stamford Bridge already just eight games into his seemingly doomed reign as interim manager. 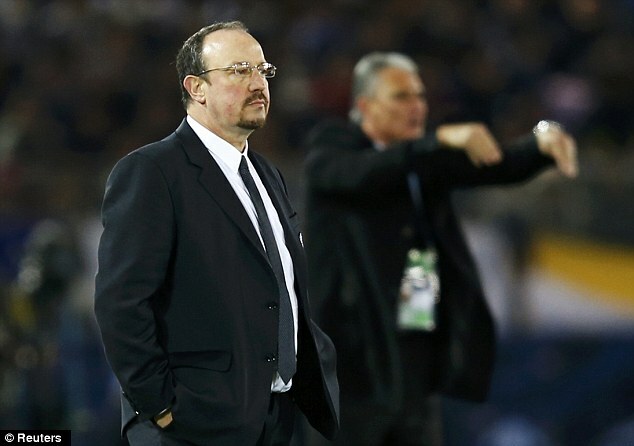 Chelsea, off the pace in the Premier League, have lost three of the six games Benitez has taken charge of so far and blew their best chance of silverware with a 1-0 defeat to Corinthians in Yokohama, Japan on Sunday.